There are many different methods for removing an unwanted tattoo, including removal creams and laser tattoo removal, but when you want a method that gets the best results, no other option beats the Tattoo Vanish® Method. This one-of-a-kind tattoo removal process was developed by Mary Arnold-Ronish, a registered nurse with more than 30 years of experience and a focus on dermatology. Her unique experience and knowledge helped her to design an effective method for removing tattoos that doesn’t come with the risks of surgical or laser removal, and boasts truly exceptional results. 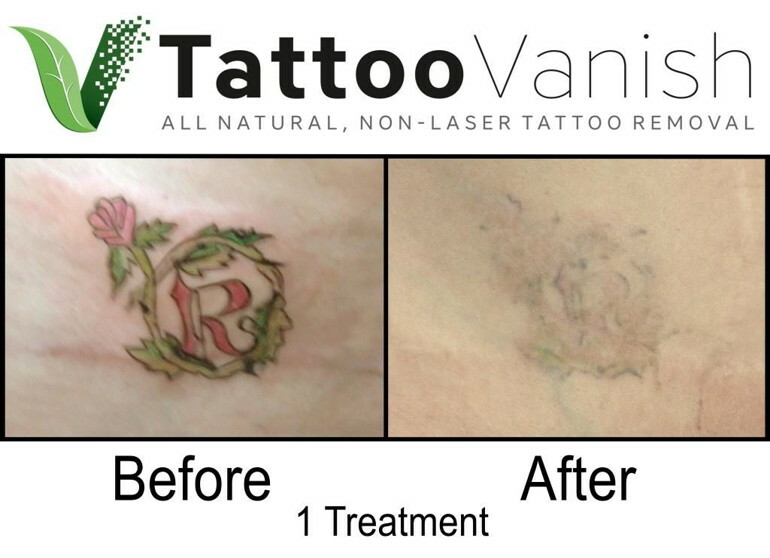 Tattoo Vanish is the one and only method on the market that can completely remove all colors — not even laser tattoo removal can do that! 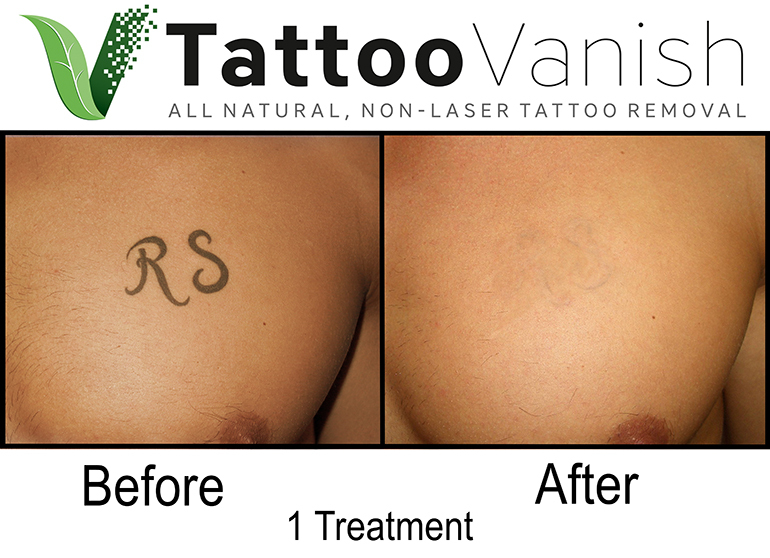 Plus, when compared to laser tattoo removal, Tattoo Vanish is more affordable and requires far fewer treatments. In most cases, you can expect complete removal in 50 to 75 percent fewer treatments than would be necessary with laser tattoo removal. Plus, Tattoo Vanish is the only option available if you’re looking for an all-natural method that utilizes no toxins or acids. 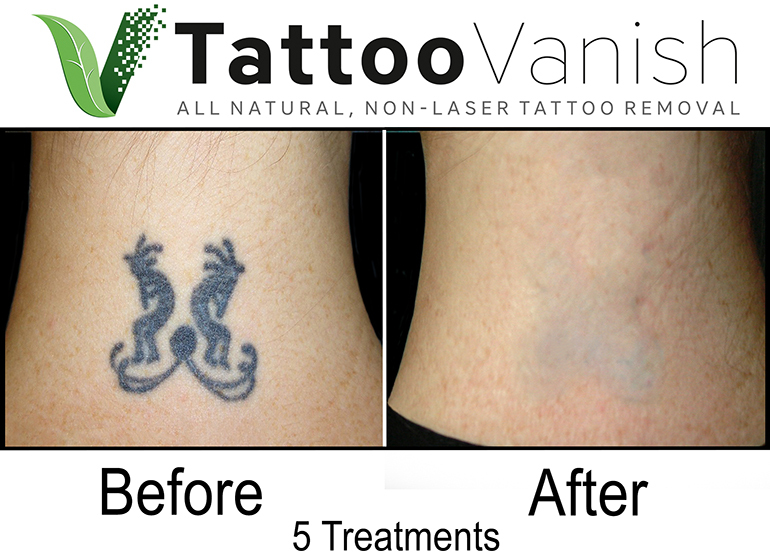 In short, when you want the safest and best results, you want Tattoo Vanish. No other tattoo removal method can even compare. 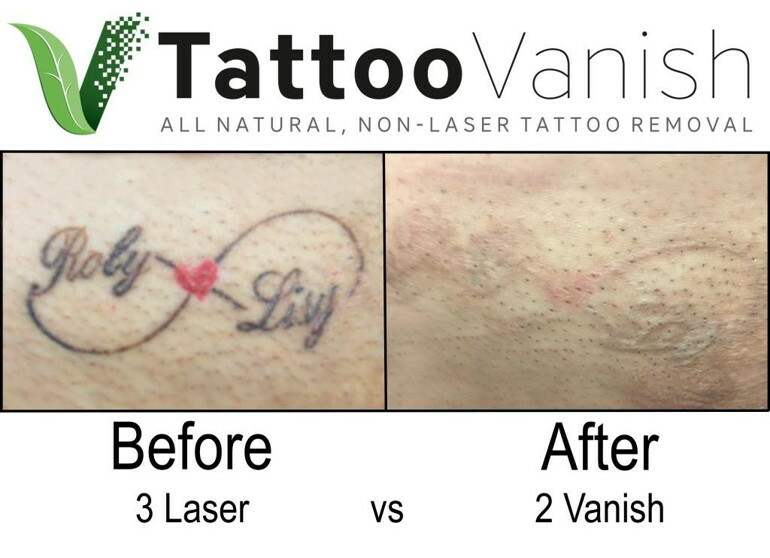 Tattoo Vanish is a non-laser, all-natural method of removing tattoos. 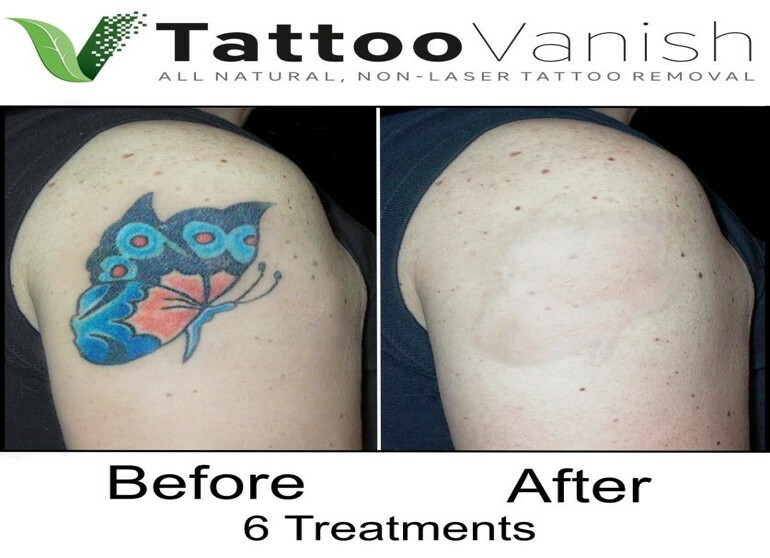 With Tattoo Vanish, there are fewer treatments needed and fewer costs, and it removes all colors and is less painful than when the tattoo was put on. Unlike other tattoo removal courses, Tattoo Vanish believes in both classroom and hands-on training working on live models, while performing the actual procedure. 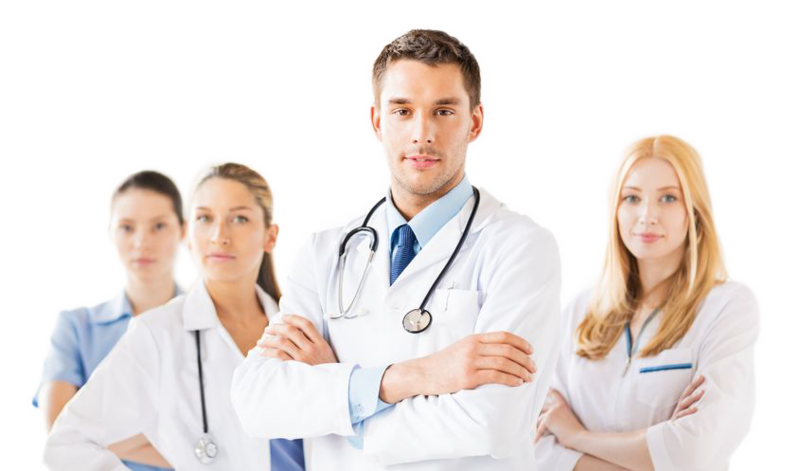 Once you have received the tattoo removal certifications, you will have the experience necessary to perform the highest quality work on your clients. We will provide you with business and marketing training to help ensure your success, and our continued technician support team will be available to answer any questions you may have. 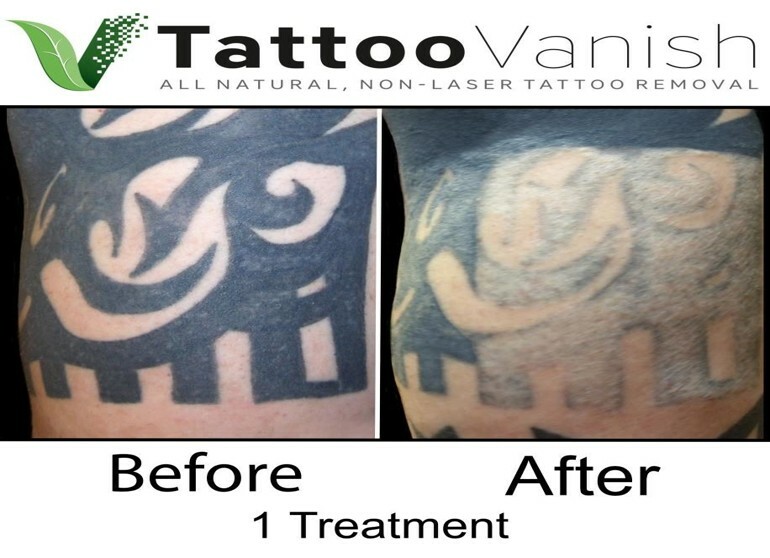 It is this hands-on training and support that earned Tattoo Vanish its standings as the number one, ALL-NATURAL tattoo removal system. Below are the before and after tattoo removal pictures that show the phenomenal results of our natural Tattoo Vanish Method®. Note that results may vary, depending on factors which include skin type and the ink used. “Coming from The Netherlands to Tattoo Vanish has been a wonderful experience! I am very confident about the decision to bring this method to The Netherlands and the rest of Europe (or more). Being here to learn the technique and work on models while guided by Roe is really great and necessary. You really need to learn what you`re doing, and this is how to do it. “Everything/everyone was great! I almost don`t want to leave. The atmosphere is professional yet friendly and relaxed. At this point all my questions have been answered and I am READY! “This has been very informative and educational. I believe that I can successfully perform this procedure. Everyone is very helpful and I feel this will be a great addition to my business. “Maddy was awesome at explaining everything and answering any and all questions about the procedure and Tattoo Vanish Method. I feel very comfortable and able to perform the Tattoo Vanish Method correctly in my studio. Thanks to Lisa and the rest of the team as well for signing me up and keeping things running smoothly. “Very good class. Liked the fact that every question asked was answered. Hands on training was good, you feel more confident going home and working on your client. What was also good was they kept photos of all clients before and after and staff was great. Thanks Ladies. “Really enjoyed the pace of the training. When grasped one concept, we moved on to the next. I never felt I didn`t understand anything that was being explained or demonstrated. Become a certified tattoo removal technician today!